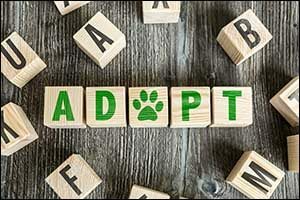 If you are thinking about adding a new pet to your household, there are many reasons to choose to adopt pets in Massachusetts from shelters and other rescue organizations. Every single year in America, more than 2.5 million adoptable dogs and cats are euthanized simply because too many animals are coming into shelters. It is essential to raise awareness about these pets in need. Fall River dog owners and New Bedford cat owners are just some of the people who adopt shelter pets every year. Whether you want an “only child” pet or would like to adopt a friend for an existing family dog or cat, local shelters can help you find the best match for your lifestyle and needs. Once you adopt a pet, make sure to bring them to our Dartmouth animal hospital to get a full workup to make sure that your new family member is current on all vaccinations and is in good general health. The more proactive you are with scheduling initial and annual appointments with a trusted and reputable veterinarian in South Coast, the healthier and happier your pets will be throughout their lifetime. Anchor Animal Hospital provides quality veterinary care for dogs, cats, rabbits, and pocket pets at our Dartmouth clinic and emergency hospital in Southeastern Massachusetts. Since 1975, we have served clients from all over the South Coast region, including Cape Cod, Rhode Island, and cities that surround the Greater Dartmouth area. Looking for a top list of reasons why adopting is better than shopping? Take a look at this list and then make time to search for local shelters and rescue organizations in your area. When you adopt instead of shop, you get a chance to save lives that otherwise might be lost due to overcrowding in local animal pounds and shelters. Consider opening your home to a puppy, kitten, or senior pet who needs a family. Adopting through a local shelter or rescue organization often means getting a package deal that includes many essential services, such as spay/neuter, first vaccinations, and even microchipping. These services are often included in the adoption price. Check for adoption specials as well to save even more through sponsored adoption programs and other options. Adopting an adult or senior pet can mean other savings, such as not having to train or housebreak the animal to fit in better with your home and lifestyle. Many of the puppies available for purchase online or through pet stores come from puppy mills, which are horrible places where dogs are overbred in unhealthy conditions. Once the breeding animals are no longer considered “profitable” to the puppy mill, they are often abandoned, killed, or sold. They are typically kept in cages without any human companionship, love, or affection. When you adopt, you make a statement that you do not support these practices financially or otherwise. Did you know that having a pet in your life is good for your health, too? Studies show that the unconditional love that pets provide is good for humans psychologically, emotionally, and even physically. Taking care of a pet can give a person focus and a sense of purpose. Pets can decrease depression, loneliness, and other negative feelings. When you adopt a pet from a local shelter or rescue organization, you make room for another pet to have a place to stay while they prepare for adoption. Every animal that is adopted is a chance to save two lives! The choice to adopt pets in Massachusetts will cost you less than buying a pet. Most adoptions range between $40-200, depending on the shelter, organization, and pet. Buying a pet will cost you $500 or more, depending on the breed and demand for that breed. Studies show that many mixed-breed pets are more likely to live longer and cost less throughout their lifetime for visits to a veterinarian in South Coast than a purebred animal. Many purebred dogs are prone to developing specific health conditions, such as hip dysplasia, breathing difficulties, and an enlarged heart. Mixed-breed “mutts” have fewer health issues based on the well-established principle of “hybrid vigor” – look it up! What is the best age for a pet? Many Fall River dog owners might tell you that adult dogs who are already trained and housebroken are a lot more fun than new puppies, who require extra patience, training, and lots of pee pads. Senior dogs are often passed over, but offer lots of love, affection, and companionship. Choose the age of the pet you want to adopt when you visit a local South Coast shelter or rescue organization. Yep, it’s true. People give a lot of respect to folks who take time to adopt a shelter pet. Go ahead and post those hashtag social media photos and brag about your new rescued dog or cat. It just might encourage one of your friends to adopt pets in Massachusetts instead of supporting puppy mills and other infamous breeding networks. Bring your pets to visit a veterinarian in South Coast who has many years of experience providing quality care at Anchor Animal Hospital in Dartmouth. We offer a wide range of services, including emergency veterinary care at our AAHA accredited hospital. Give us a call at 508-996-3731 to schedule an appointment or to learn more about our services.